On February 21, 2018, the Quebec government released draft regulations (Gazette Officielle du Québec) that outline fees payable to Institut national d’excellence en santé et en services sociaux (INESSS) for the scientific evaluation of a drug or stable blood product. The fees are expected to vary based on the type of dossier submitted for scientific review with INESSS determining the applicable fee after it has received the submission from the manufacturer. Although no official date for implementation has been established, a recent presentation by INESSS’s Director of Medication, Sylvie Bouchard, suggests that a Spring 2018 implementation is possible. The Canadian Agency for Drugs and Technologies in Health (CADTH) also published revised procedures and submission guidelines in February 2018. The proposed evaluation fees for INESSS are less than those for CADTH, with one exception, the review of biosimilars. CADTH has recently significantly reduced its fees for biosimilars from $36,000 to $7,000 per submission. This reduction in fees is linked to the revisions to the biosimilar review process, most notably that the expert drug advisory committees will not be issuing reimbursement recommendation for biosimilars moving forward. 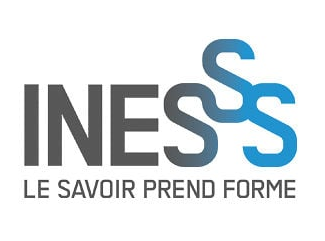 However, since INESSS is required, by law, to provide an Avis au Ministre for all drugs requesting reimbursement, a more thorough assessment and reimbursement recommendation for biosimilars are still expected to be required in Quebec. Consequently, the application fee for biosimilars for INESSS are proposed to be $19,460. The table below provides a comparison of the fees by HTA body. For a full list of the fees payable by types of scientific evaluation, please consult page 3 of the draft in the Gazette Officielle du Québec for INESSS and Appendix 1 of the February 2018 Guidelines for Manufacturers on Application Fees for CADTH Pharmaceutical Reviews. For manufacturers planning to introduce a new drug in Canada, they can expect evaluation fees by the collective Canadian HTAs ranging from $26,460 (biosimilar) to $110,921 (new drug/new indication). In addition, the submission requirements for biosimilars are expected to vary between Canada’s two HTAs organizations. MORSE would like to thank Ms. Helene Lalonde, Senior Advisor, Market Access & Reimbursement at Pendopharm, for leading the preparation of this update.